HUGE LOT OF 3000 Football Cards, 1970's-2000's Collection, Free Shipping!!!! HUGE LOT OF 1000 Baseball Cards, 1970's-2000's, 200+ Rookies, Free Shipping!!!! gregoscards2014 has no other items for sale. 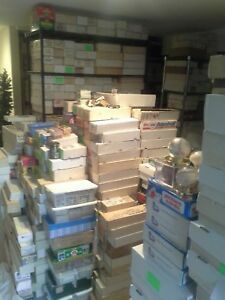 Details about HUGE LOT OF 3000 Baseball Cards, 1970's-2000's, 100+ Rookies, Free Shipping!!!! fantastic seller, easy to communicate with, all around a good experience. Great cards and shipped quickly - thanks!! As described! Great transaction! Tons of baseball cards!